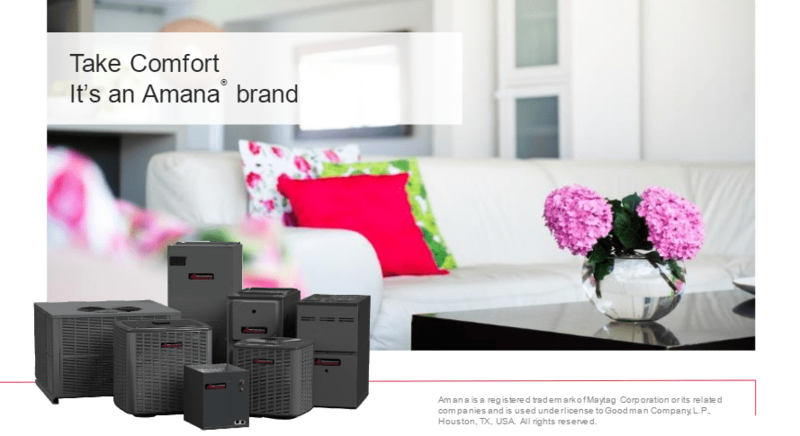 Why Choose Amana Heating and Air Conditioning Products? Precision Temperature is proud to be your trusted San Diego heating and air conditioning professionals, and we take your comfort and peace of mind very seriously. That’s why we offer Amana Heating and Air Conditioning products when it is time to replace your HVAC system. We recommend Amana products because they have a history of excellence; they are designed, engineered and assembled in the U.S.A.; and some products carry a Lifetime Limited Warranty. Since 1934, Amana has improved the American household with innovative appliances and equipment held to an uncompromising standard of excellence and delivering premium performance. With a focus on innovative engineering, world-class manufacturing processes, and a relentless drive to create the premium products homeowners expect, Amana builds products that last. Your Amana HVAC system will provide the best in home comfort to combat San Diego’s hot summers and chilly winters for years to come. HVAC Products Designed, Engineered, and Assembled in the U.S.A.
As other HVAC manufacturers move production outside the U.S., Amana’s heating and air conditioning products are designed, engineered, and assembled in the U.S.A., providing jobs for American workers. Keeping operations in the U.S. also allows Amana to take advantage of American productivity and innovation as they produce quality, reliable products. 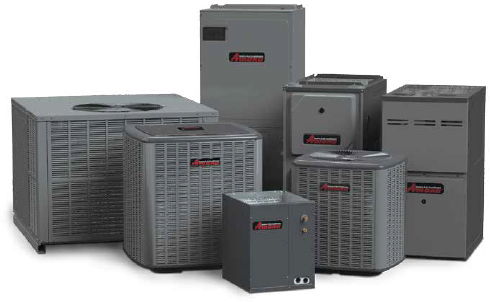 The American craftsmanship of Amana’s HVAC equipment is of such high quality and held to such a high standard of excellence that some of their heating and air conditioning products carry a Lifetime Limited Warranty*. Amana stands by their products so you can be sure they will work. That’s why Precision Temperature recommends Amana HVAC products to provide peace of mind and home comfort to our customers. Contact us today to discuss installing Amana products in your home by using our online contact form or give us a call at (619) 588-5321. *Call for details on lifetime limited warranty.